Business Intelligence | Batish Technologies | Batish Technologies Pvt. Ltd. Business Intelligence – Batish Technologies Pvt. Ltd.
Business intelligence (BI) is methodology used in picking, finding, and assessing business data, like sales revenue by products and/or departments, or by associated costs and incomes. Your corporate performance can take a big leap to success with a vast range of business intelligence solutions that are designed to keep you in control of your business and grow it further with the help of strategically developed BI tools suited to your requirements. 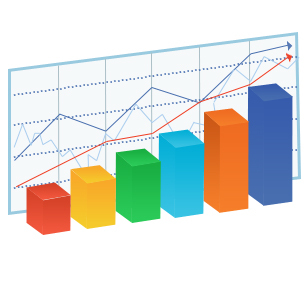 Business Intelligence solutions include Data Warehousing, Content Management and Search & Information Management. These solutions are developed with an aim of providing you with better options and turning the high volume of data into meaning information. The solutions can scale up to your business requirements in minimum period of time with optimized results. You can understand your business better and improve your company’s performance. A well-defined business intelligence solution can change the way you perceive your business and help you take it to new unexplored horizons. Data warehousing is a system used in an organization to collect data, most of which are transactional data, such as purchase records and etc., from one or more data sources, such as the database of a transactional system, into a central data location, the Data Warehouse, and later report those data, generally in an aggregated way, to business users in the organization. A customized content management system can put you right in control of all the content publishing of your organization. In a CMS, data can be defined as nearly anything: documents, movies, pictures, phone numbers, scientific data, and so forth. CMSs are frequently used for storing, controlling, revising, semantically enriching, and publishing documentation. Serving as a central repository, the CMS increases the version level of new updates to an already existing file. Version control is one of the primary advantages of a CMS. With huge amount of data in your organization, you need a proper system to fetch the required information such as a search and information management system. The search and information management solutions are aimed at providing 100% accurate and live search results, facilitates content from various resources and helps making informed decisions with quick information.